Yesterday we held our traditional 'dressing of the Christmas tree' assembly. Every child was invited to hang a decoration from the tree, whilst the rest of the school sang Christmas carols. Some of the decorations were handmade earlier in the day as part of our Christmas activity day. 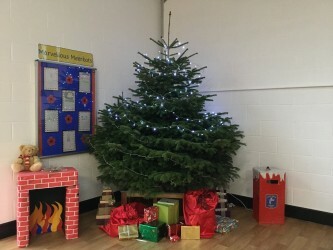 Many thanks to Totties Garden Centre for donating the beautiful Christmas tree!